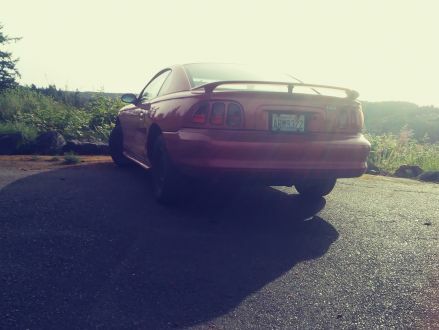 Hi, selling my 1997 mustang coupe. Car has recently had an $800 clutch job done and has the 3.8 v6 in it that runs very well. I use it to commute every day to work 30 miles and it has never yet let me down. We just bought an 04' focus that is low miles and gets 36 mpg and my apartment management says one has to go so unfortunate for me I'm listing it here. Minor cosmetic scrape/dent on the passenger door thats effects nothing. Interior is great and the rest of the car too. Everything works. A.c.
97' mustang LOTS new! 5 speed $800 clutch just done + more..
FOR SALE. 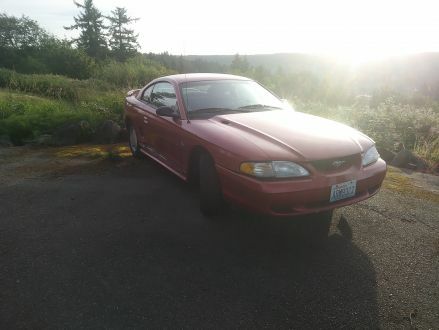 This is a Red 1997 Ford Mustang Lx with Gray interior, Manual transmission, Rear-Wheel Drive, and a 6-Cyl. engine. 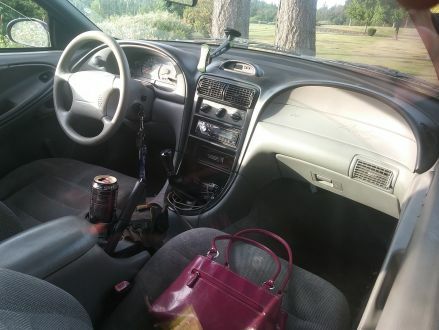 It's in Good condition, with 200,000 miles, and located in Enumclaw, WA.